Kenwood KA 2200, silver for sale. High Quality Integrated Amp with 120 +120 watts RMS. 4 high level inputs and 2 adjustable Phono inputs. The pre and main section can be separated. This unit is in very good condition and shows minimal wear only. 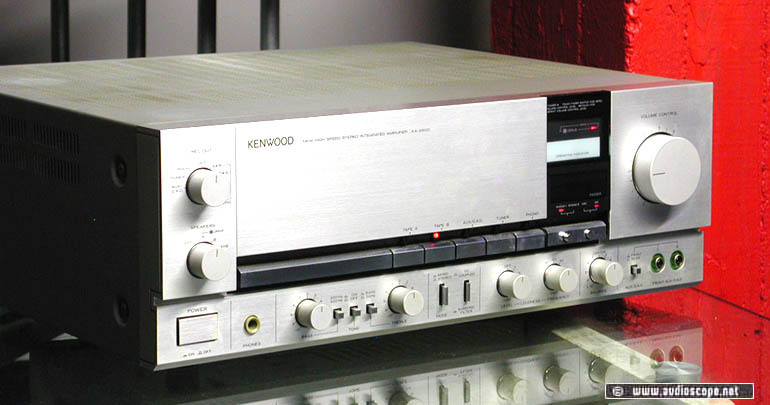 Matches perfectly with the legendary Kenwood KT 1100 tuner.